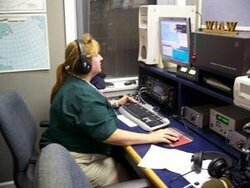 + On the Air: Attention RTTY Rookies -- The 2011 RTTY Rookie Roundup Is Here! The National Oceanic and Atmospheric Administration is keeping an eye on a set of solar storms and explosions that could disrupt satellite, telecommunications and electric equipment here on Earth in the next few days. 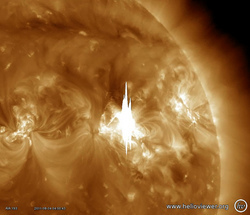 While activity had reportedly returned to somewhat normal levels when solar winds calmed the morning of Monday, August 8, another explosion at 0805 UTC on Tuesday, August 9 was three times larger than the February 15 flare, which, until now, was the most significant flare of Solar Cycle 24. Given the location of the activity, any coronal mass ejection (CMEs) from the flare would likely be directed away from Earth. As such, the Space Weather Prediction Center is not forecasting "significant Geomagnetic Storm activity," and the most recent storms should not affect radio amateurs. But when a CME does hit the Earth's atmosphere -- approximately 72 hours after exploding on the Sun -- the low bands will be depressed and signals will be weaker the lower the frequency. The absorption rate will be most severe on 160 meters, less on 80 and somewhat better on 40 meters. The maximum usable frequency (MUF) -- the highest frequency by which a radio wave can propagate between given terminals by ionospheric propagation alone, independent of power -- will be lower and auroral propagation on the VHF bands is quite possible. Read more here. On August 10, the FCC announced via a Final Rule in the Federal Register that the cost of an Amateur Radio vanity call sign will increase 90 cents, from to $13.30 to $14.20. The new fees take effect 30 days after publication, making September 9, 2011, the first day the new fee is in effect. The vanity call sign regulatory fee is payable not only when applying for a new vanity call sign, but also upon renewing a vanity call sign for a new term. The first vanity call sign licenses issued under the current Amateur Radio vanity call sign program that began in 1996 came up for renewal five years ago. 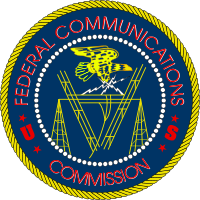 The FCC is authorized by the Communications Act of 1934, As Amended, to collect vanity call sign fees to recover the costs associated with that program. Read more here. ARRL's delegation to the conference included ARRL VEC Manager Maria Somma, AB1FM (center), Assistant VEC Manager Perry Green, WY1O (left) and Regulatory Information Manager Dan Henderson, N1ND. Representatives of 12 of the nation's 14 Volunteer Examiner Coordinators (VECs) -- either in person or via proxy -- met July 29 in Gettysburg, Pennsylvania for the 26th Annual National Conference of Volunteer Examiner Coordinators (NCVEC) Conference. NCVEC Chairman Larry Pollock, NB5X presided over the gathering that offered an opportunity for representatives of the VECs to discuss issues facing the volunteer examination program and to meet face-to-face with FCC staff members. The ARRL's delegation to the conference included ARRL VEC Manager Maria Somma, AB1FM, and Assistant VEC Manager Perry Green, WY1O, as well as ARRL Regulatory Information Manager Dan Henderson, N1ND. Read more here. For the first time since the Rookie Roundup came into being last year, the digital modes will get their day in the Sun: On August 21, the Rookie Roundup meets RTTY! "Created to give the budding operator a place to learn about contesting at an easier pace, the Rookie Roundup is a six hour contest open to all amateurs who have been licensed for three years or fewer," explained ARRL Contest Branch Manager Sean Kutzko, KX9X. "If you were licensed in 2009, 2010 or 2011, you qualify as a Rookie. The Rookie Roundup is run three times per year: SSB in April, RTTY in August and CW in December." But "Old Timers" have a place in the Rookie Roundup, too. "Elmering is a critical component of the Rookie Roundup, and OTs are encouraged to not only get on and work the Rookies, but to host a Rookie and assist them with learning how to participate," Kutzko said. "Rookies can work anybody, but non-Rookies can only work Rookies." Read more here. If you enjoy the being on the cutting edge of Amateur Radio's technical side, take a look at the microwave bands. The 2011 ARRL 10 GHz and Up Contest gives you the perfect chance to explore this portion of the radio spectrum. This contest boasts two weekends of activity: August 20-21 and again on September 17-18. The contest period for both weekends starts at 6 AM (local time) on Saturday and runs until midnight (local time) on Sunday. Points are awarded based on the distance of a QSO, and operating from several locations during the contest period is not only allowed, it's encouraged! "Most amateurs use SSB, although there is some CW, as well," explained ARRL Contest Branch Manager Sean Kutzko, KX9X. "Power levels are relatively low compared to HF; most stations run several hundred milliwatts. A station running a few watts is considered a 'Big Gun.' Antennas are usually dishes, like those used for receiving satellite TV." Read more here. The year 2014 marks the end of the first 100 years of the ARRL. In these 100 years, amateurs have seen spark gap give way to CW, FM and AM, SSB and the numerous digital modes, with the ARRL leading the way. In celebration of the beginning of a second century of Amateur Radio, the ARRL has formed the Second Century Campaign Committee. This group -- led by David W. Brandenburg, K5RQ, of Osprey, Florida -- had their first formal meeting in Newington on Thursday, August 11. The Second Century Campaign Committee will develop and lead a multi-million dollar campaign, focused on building the ARRL Endowment to further secure resources to fund the League's commitment to the future. The ARRL Second Century Campaign will open the path to meaningful involvement in Amateur Radio by new generations, providing opportunities for educational enrichment, community service and personal achievement through the exploration and use of the magic of radio communication. Members of the Second Century Campaign Committee are: Mike Valentine, W8MM, of Cincinnati, Ohio; Bob Allphin, K4UEE, of Marietta, Georgia; Frank Donovan, W3LPL, of Glenwood, Maryland; Ken Byers, K4TEA, of Atlanta, Georgia; L. Dennis Shapiro, W1UF, of Chestnut Hill, Massachusetts, and Glenn Johnson, W0GJ, of Bemidji, Minnesota. ARRL President Kay Craigie, N3KN, and Vice President Rick Roderick, K5UR, are also on the Second Century Campaign Committee, as are ARRL Chief Executive Officer David Sumner, K1ZZ, Chief Financial Officer Barry Shelley, N1VXY, and Chief Development Officer Mary Hobart, K1MMH. All members of the committee serve in a volunteer capacity. The General Class Q&A is now available for all Kindle platforms. 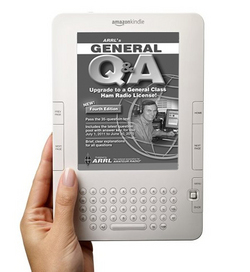 The fourth edition of ARRL's General Q&A is now available from Amazon.com for the Kindle. This e-book is your authoritative guide to every question in the General (Element 3) question pool -- everything you need to pass your General class license exam. When you use ARRL's General Q&A, you can be sure that you are using the best way to review for the 35 question exam. The e-book includes every question -- and answer -- in the General class question pool, utilizing a multiple-choice format similar to the one on the actual exam. The current General class question pool is valid through June 30, 2015. Kindle is shaped much like a book, with a paper-like screen that displays text and pictures. You do not need a Kindle to download and purchase the General Q&A: those who have the Kindle application installed on their Apple iPhone iPod touch, Android smartphone -- or even on their computer -- can download the book for use on these devices. Each version of the Q&A lets you review questions and answers from that element's entire question pool so you can pass your exam. The Tech Q&A, General Q&A and Extra Q&A are available from Amazon.com for $9.99 each. The soft cover version of the General Q&A is also available for $17.95. Upgrade and enjoy more frequency privileges today. The Four Points Sheraton Hotel at Baltimore Washington International Airport is home base for the 30th annual ARRL/TAPR Digital Communications Conference, September 16-18. This conference is an international forum for radio amateurs to meet and publish their work, as well as present new ideas and techniques. Presenters and attendees will have the opportunity to exchange ideas and learn about recent hardware and software advances, theories, experimental results and practical applications. Read more here. The HK0NA DXpedition to Malpelo is scheduled for January 22-February 6, 2012. Malpelo is located approximately 235 miles off Colombia's Pacific coast. The HK0NA DXpedition to Malpelo -- an island located approximately 235 miles from Colombia's Pacific coast -- is scheduled for January 22-February 6, 2012. Organized by the DX Radio Amateur Club out of Colombia, the DXpedition boasts an international team of 16 operators from eight countries. Malpelo is currently #12 on DX Magazine's 100 Most Needed Countries Survey. According to DXpedition leader Jorge Prieto, HK1R, the HK0NA Team will depart from Buenaventura, Colombia on January 22 for the boat trip to Malpelo. Depending on sea and landing conditions, they expect to be on the air within 36 hours after landing on Malpelo. They will be using SSB, CW and Digital modes on 160-6 meters. Operations are planned on 160-6 meters on CW, SSB and Digital modes, including EME. Read more here. 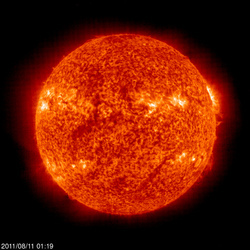 The Sun, as seen on Thursday, August 11, 2011 from NASA's SOHO Extreme Ultraviolet Imaging Telescope. This image was taken at 304 Angstrom; the bright material is at 60,000 to 80,000 Kelvin. Tad "The Sun is zooming in" Cook, K7RA, reports: The average daily sunspot numbers declined more than 24 points to 75.1 this week, while the average daily solar flux was down more than 12 points to 104.3. We saw solar flares recently, with a substantial geomagnetic upset on Friday and Saturday -- August 5-6 -- when the planetary A index was 49 and 31. The largest solar flare of the current sunspot cycle, an X7 flare, occurred at 0805 UTC on August 9, emerging from sunspot group 1263. This does not appear to be Earth-directed. The latest forecast from NOAA has solar flux at 85 through August 17, then 90, 98, 98 and 100 on August 18-21, and then 105 on August 22-30. The planetary A index is expected to be 7 on August 11, 5 on August 12-15, then 15, 18, 10, 8, 5, 12 and 8 on August 16-22, 5 on August 23-25, and 15, 10, 8, 5 and 5 on August 26-30. Look for more information on the ARRL website on Friday, August 12. For more information concerning radio propagation, visit the ARRL Technical Information Service Propagation page. This week's "Tad Cookism" is brought to you by The Clash's London Calling. 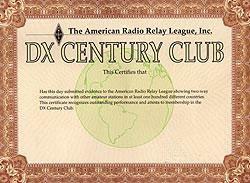 Effective July 25, 2011, the RTTY DXCC Award will be known as the Digital DXCC Award. At the 2011 Second Meeting of the ARRL Board of Directors, the Board voted to change the name of the RTTY DXCC Award to the Digital DXCC Award. In changing the name, the Board took into account that Amateur Radio technology has advanced to include many variations of digital communications. On July 25, the word "Digital" began replacing "RTTY on these DXCC certificates. At the recent Central States VHF Society (CSVHFS) Convention -- held July 29-30 in Irving, Texas -- CSVHFS President Chuck Clark, AF8Z, presented the President's Award to Gene Zimmerman W3ZZ. "I truly appreciate this award," Zimmerman told the ARRL. "Central States is one of the best known VHF organizations in the United States, and as a former CSVHFS Director, I know what an honor all CSVHFS awards are." The award was given in recognition of Zimmerman's work on E-skip propagation and being the VHF Editor and conductor of QST's "The World Above 50 MHz" column for the past nine years.